Wednesday, October 7 should see the launch of LQSat which was developed by researchers and students at the Changchun Institute of Optics, Fine Mechanics and Physics (CIOMP) and carries an amateur radio payload. 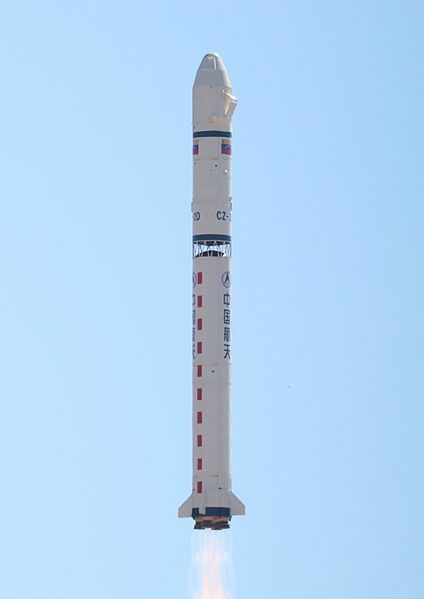 The launch should take place sometime between 0405 and 0430 UT from the Jiuquan Satellite Launch Center (JSLC) in Inner Mongolia on a Chang Zheng 2D (CZ-2D) rocket. LQSat is technology demonstrator 40x40x60 cm with a mass of 50 kg and carries a 2 m resolution camera as the main payload.